Last chance to enter and WIN a hamper of Ecuadorian Products! We are currently running a Facebook Contest where one lucky person can WIN a hamper filled with Ecuadorian products! The contest will end on April 30th at 17h00 (EST), so be sure to get your entry in NOW! We’ve looked far and wide here in Ecuador to ensure we include products that you will love, from locally produced Ecuadorian Chocolate and coffee, hand-woven Panama hats (for him and her), uniquely styled Tagua jewelry and a hand made Eduardo Vega mug. There is something to satisfy everyone’s likes and tastes. Included in the hamper will also be a bag of Chia Seeds. This fabulous product can be added to food, milk shakes and fruit smoothies to help enhance flavour. 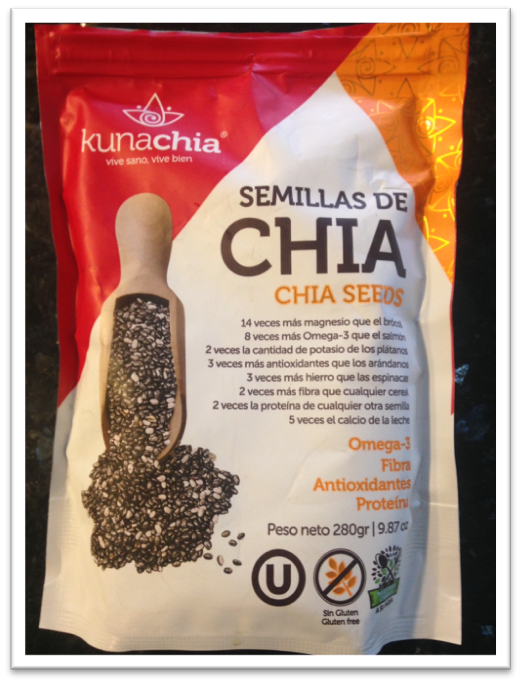 Ancient Aztec and Mayans used Chia to compliment their diet and provide them with an extra source of energy for long journeys and it was fundamental food for warriors. It is easy to enter the contest, simply follow the link, answer some questions and click submit…as easy as 1…2…3!